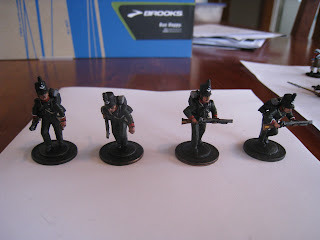 My goal was to complete my Kings German Legion unit (one of two probably) for my army by today; so I have succeeded as of this morning! Here they are in all of their glory.. I was reading the army builder rules while I was working; only to find out that if I use Brunswick support, I needed two more skirmisher bases for a total of 4; so dutifully I whipped up a couple more troopers from the 60th, to bring my total up to 4. 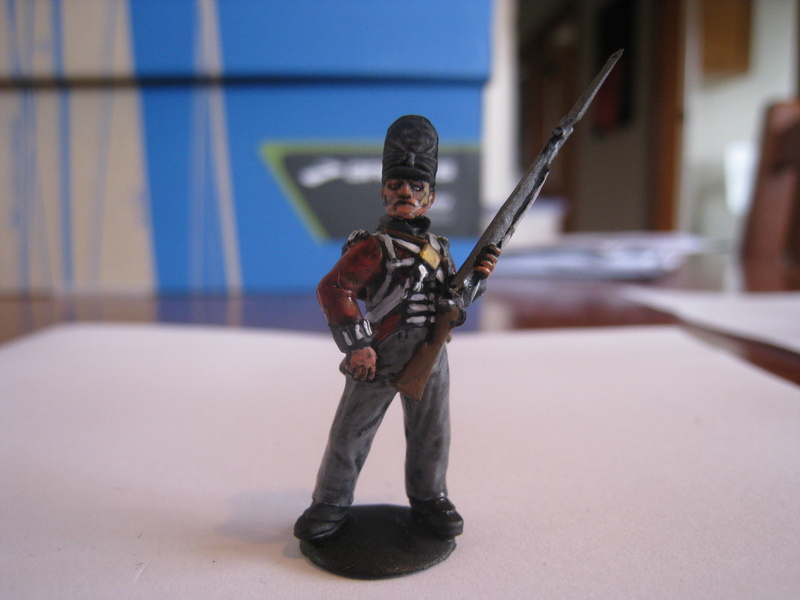 And last but not least, my Warlord Games order came without Colonels; so I had to wait for a while, but they arrived on Tuesday, 2 Waterloo Colonels, and a sapper. 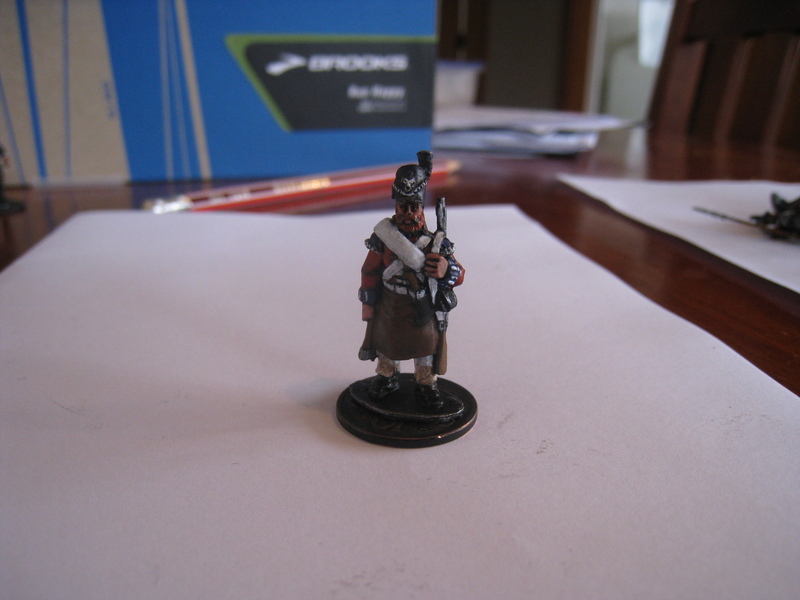 In game terms, the sapper is an optional rule, who would tend to not be played, which is really unfortunate because he is a pretty cool model, and one that I am happiest with at the moment! He would add 2 combat dice to one unit; which if it was used with Guards would quickly become very ridiculous! That will teach the enemy to mess with a large ginger man with an axe! So, for now he is just a cool looking model, he might get put on an objective, or simply just be there as part of the army. Whats next? I have a FOW tournament (Southcon) starting tommorow, so no painting for a couple of days. 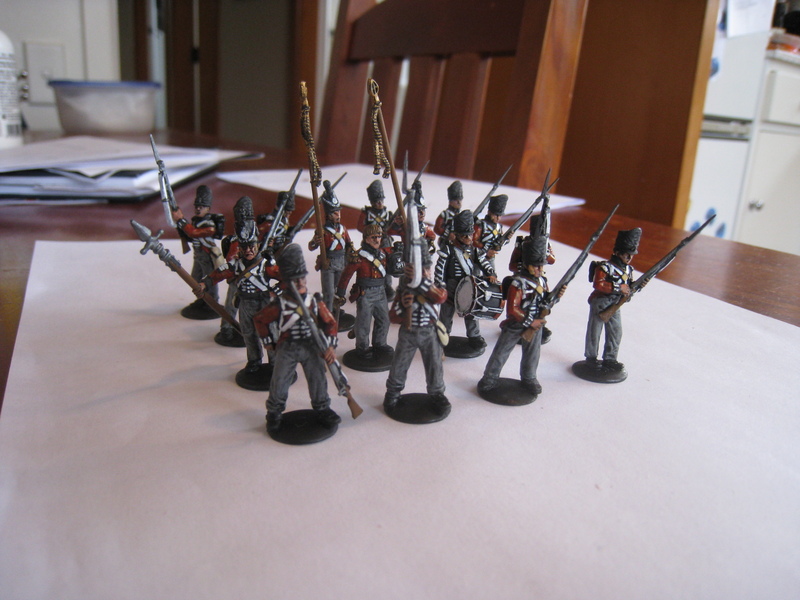 Then.... Well another small unit, perhaps those Colonels I think as well. Oh and maybe I might base something? Good luck for Southcon, Pooch. Out of interest, do they have 'sports scoring' and take part in the national rankings, down there? A large ginger with an axe worth 2d, yes, definitely. No sports scoring, but do have National rankings Jamie. Never question how powerful the big ginger is!